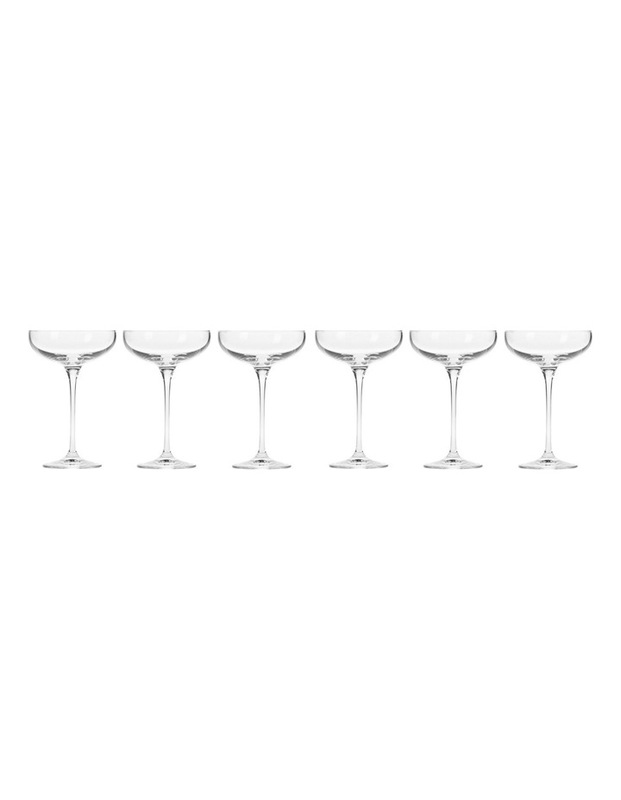 Made in Poland, these vintage-inspired champagne coupe glasses are an elegant alternative to traditional flutes. Gift boxed set of six. Dishwasher safe.